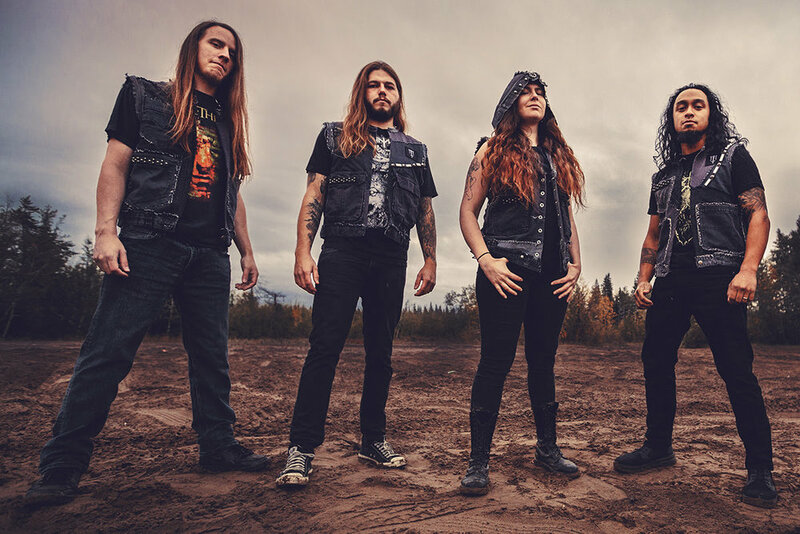 Released in June 2018, "Unearth The Underworld" is a 5 track EP from Edmonton, Canada’s death/thrashers, TESSITURA. Featuring five of the band’s strongest efforts to date, it takes the listener on the rollercoaster of TESSITURA’s evolution as each song drives forward into a whirlwind of themes and expressions. Now, drummers and all fans of the band can see the masterwork of Gord Alexander as he pummels away to "Wounds of The Righteous" in his latest playthrough video via GearGods,net. Suitable for death and thrash fans of all sorts, but especially those with an interest in Goatwhore, Revocation, and Skeletonwitch can pick up "Unearth The Underworld" or catch TESSITURA at one of their live performances (dates listed below). July 12 - Armstrong, BC - Hassen Arena - Armstrong MetalFest w/ Origin, Nekrogoblikon, Betraying The Martyrs, Wake & more! Aug 3 - Drumheller, AB - Dinosaurs Downs Stampede Grounds - Loud As Hell Fest w/ Goatwhore, Anciients, Cloven Hoof, Planet Eater, Untimely Demise, BornBroken, Arrival of Autumn, Legacy, VX36 and more!